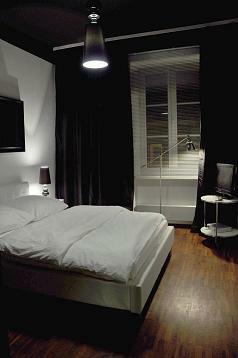 Chmielna St. B&B is the latest creation from the owners of New World St. Hostel - the best cosy hostel in Warsaw. Chmielna St. 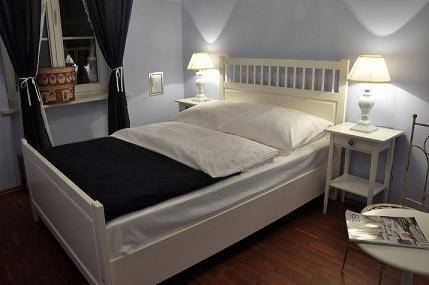 Bed & Breakfast has an unbeatable location in the very centre of Warsaw, a stone's throw away from Nowy Swiat - the most beautiful and symbolic street of Warsaw. It offers a comfortable, peaceful and elegant atmosphere. Chmielna St. B&B has seven uniquely designed rooms, each with their own style and character, aptly named after specific cities. “Hvar” – A room for two, with one double bed and en-suit bathroom; the colours make you feel like you are in the middle of this Mediterranean Croatian island with its specific lavender aroma. “San Francisco” – A room for two, with one double bed and en-suite bathroom; it emits a sophisticated elegance in true noir black and white color. “Chicago” – A room for two or three – a steely minimalism and an American executive comfort that resembles the Windy City. 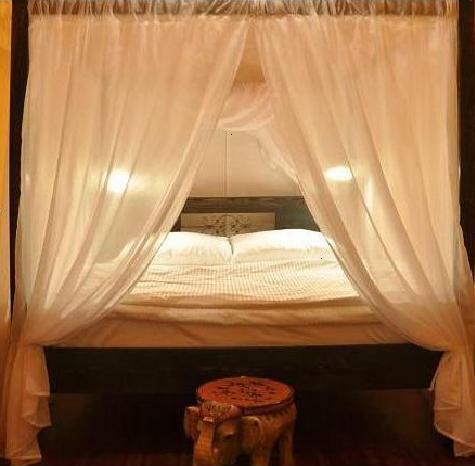 “Hoi An” – A room for two, that produces a familiar South East Asian atmosphere, yet with an uncommonly found large and luxurious bed. 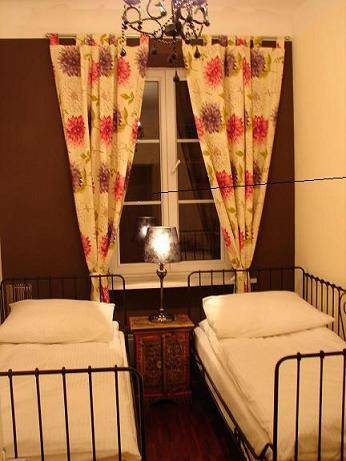 “Cracow” – A room for two with two single beds. We also love the style and environment of our closest neighbours! “London” – A room for two, with one double bed in double-decker bus or telephone box red! “Cannes”- A room for two, with one double bed and bathroom; the colours resemble the French Riviera and the look taste of the divine Catherine Deneuve. 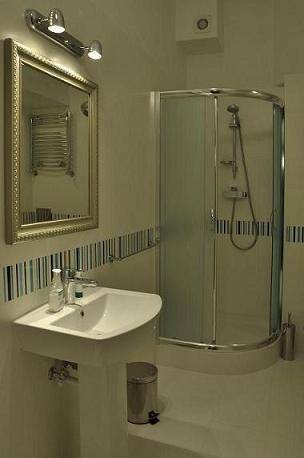 All rooms have Wi-Fi internet, three are en-suite and the other four share a bathroom. Chmielna St. B&B also has a lovely guest lounge for reading, listening to music or watching TV on the large plasma TV set. A small fully fitted kitchen is also available, adjoining the dining room, where breakfast is served. Guests of our B&B are provided their own keys to the building, allowing them to come back to their room at any time. 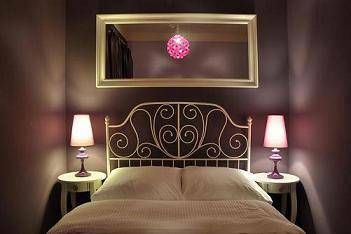 A great advantage of Chmielna St. B&B is its intimacy and ability to ensure peace and privacy after a whole day of sightseeing or spending the night in local clubs. If you have any questions about the city or our B&B, just call the New World St. Hostel reception (it is open 24h), where you will receive the keys to your room as well. Check-in is at 15:00 PM, and check-out before 11. 00 PM. If you arrive earlier or you want to stay in Warsaw longer after your check-out, you can leave your luggage in our hostel storage room. Main reception for Chmielna St. B&B is located in New World St. Hostel, Nowy Świat 27 St. - 200 m from Chmielna St. B&B.